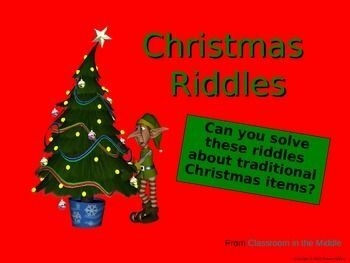 Here are the riddles written by pupils from 6eE about Christmas. You can check your answers with the pdf documents. Voici les devinettes écrites par les élèves de 6eE sur le thème de Noël. Vous pouvez vérifier vos réponses avec les documents pdf en pj. I am made to be eaten. I fly over the world. I live in North Pole. I pull the sleigh of Santa Claus. I have a big flashy red nose. Santa puts sweets in me. I am under Christmas trees. I have a surprise in me. I’m under a tree for Christmas. I have mittens, big boots and a hat. You open me on Christmas day. There are gifts under me. I give a lot of presents on Christmas Day.